Drive partitioning helps you stay organized. It helps you run your disc smoothly and efficiently. You are able to store and manage your data more efficiently with a proper drive partition. What will happen if you lose your valuable data because of a data partition loss? In fact, a lost partition is much difficult to recover in many cases. When compared to the normal data loss issues, it can be quite complicated to recover a deleted partition. When a drive partition is lost, all the data contained therein is lost along with it. If you are attempting to recover your lost partition, never ever attempt to create a new partition before completing the recovery process because that may just make your data permanently non-recoverable. When a drive partition is lost, you will not be able to find any data saved on it. In fact, even the utilities like Windows Disk Management will not be able to find the data on this partition. If you want to stay safe from being affected by lost partitions, it is practical to know the reasons that can cause partition loss. This can not only help you avoid lost partitions, but will also let you find your ways for partition recovery. The partition table is a utility that shows the partition and its content to the users. Thought it can be quite useful, it is also susceptible to corruption. In case it goes corrupt, your partition will become invisible from the partition list. The partition table contains valuable information about the partition including the start point and end point of hard disk drive partition, file system, name, size and a host of other important details. The hard drive is divided into tracks which are further divided into sectors. If any of the sectors are unable to read or write, it is referred to as a bad sector. It will normally be skipped during a read or write operation. If a partition contains a large number of bad sectors, you will end up with a lost partition. Human mistakes tend to be unpredictable and this applies to managing your drives, partitions and in some cases an entire volume. You may have deleted an entire partition while in fact, you wanted to delete a folder or file. In some cases, you or someone else using your computer might delete a volume by error. You may attempt partition resizing for the purposes of better data management. However, it should be understood that partition resizing is a risky and complicated process and needs you to have a sound technical knowledge for the same. A sudden interruption to the procedure can cause the partition to be lost. If you do not have enough knowledge in handling it, never do it. The best way to do is to use a professional disk partitioning tool. A sudden power failure or spikes in power can cause an issue. This can also affect the performance of the drive. This can also make the partition inaccessible in many cases. You can make use of recovery tool for the purpose of the lost partition recovery. There are several tools that can be quite helpful in addressing the concern. One such capable software tool that can be helpful in addressing the concern is Recoverit. 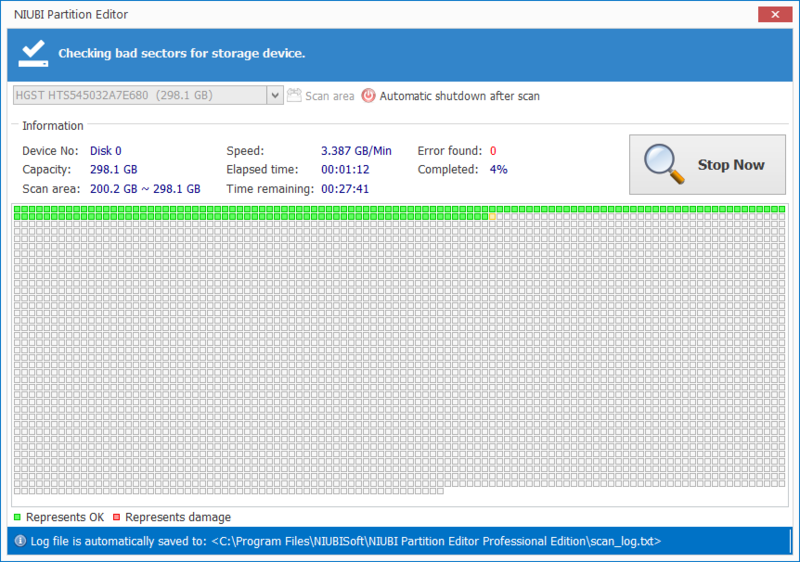 Developed by Wondershare, it is an excellent tool to take care of all your partition loss issues. It has been designed to recover 550 different data formats, multiple device formats, different drives and all this with a record high recovery rate. Recoverit is an excellent data recovery software that offers you over 96 per cent data recovery rate. The software can recover almost all scenarios of data loss and can work with all systems and storage devices. It also works efficiently even with crashed systems or those that cannot boot. What makes it a good option? Well, the tool comes with a host of features enabling you to address multiple data loss situations and lost partition recovery. The software can handle almost all your data loss situations. Whether you are facing accidental data loss or any serious failure, Recoverit can handle almost all those use cases. The tool can recover all types of data loss issues. The sophisticated tool can handle all types of inaccessible data. It makes use of deep scan mechanism for an efficient functionality. Recoverit can recover all file formats with ease. You have access to over 550 different file formats that you can use to recover the files. That would include an impressive list of images, multimedia files, documents, emails, archives and other essential file formats. Yet another interesting feature that makes it a great option is the ability to support multiple device formats like NTFS, FAT16, FAT32, HFS+, APFS etc. Recoverit software is capable of providing you with a blazingly fast performance in terms of both the scanning and recovery of the data. When we tested it with our laptop and scanned the system partition viz drive C, it could scan the drive in just under 7 minutes. This is one of the excellent features given the fact that data recovery is a task that can be a quite complicated affair. It simplifies the task with an easy to use interface. Even newbies should be able to use the software for recovering the lost files. In fact, the software comes with just three simple steps - Select, Scan and recover. As simple as that! No further tension or complicated procedure. How to recover deleted partition using Recoverit? Well, here are the steps involved in addressing the issue of lost partitions using Wondershare Recoverit. Follow the steps carefully. Of course, it is quite easy and simple to follow the procedure. Download and install the Recoverit partion recovery software. Once you choose it, you will be taken to the screen listing your partitions. Select the partition where your data has been lost. You can choose multiple drives or partitions if needed. It is also possible to choose an entire volume as well. Once chosen, click on Start. The recovery process will start as soon as you click on Start. Recoverit will begin scanning the partition you have chosen. It can take a while to scan the entire partition. It will depend on the size of the partition and the amount of data that may have been lost. After the scan is completed, you will be shown the complete result of the scan. You can check through the list of recoverable files. The software also lets you preview the files before you actually recover it. Once you have decided to recover a particular file, click on Recover button to recover the file. You can choose multiple files and then click on Recover to opt for multiple file recovery. In the next step, click on Evaluate and choose an output folder to save the recovered file. Ensure that you are not choosing the same folder from where you have lost the file. This can further make you lose the file. Choose a different partition and folder. That should do it. You have successfuly recovered the lost file. You can choose multiple files at once and opt for a batch recovery option. These were all of the steps that can quickly and efficienctly do a lost partition recovery from your system. Please ensure that you are not saving the recovered file in the same partition from where the data was lost. Any discussion on a software option will not be complete without referring to the Pros and Cons that the tool offers you. The cons we are mentioning here can be a result of technological limitation. Simple to use interface and easy to understand functionality. Rearranging the window size is not possible.This may cause the filename to be non recognisable at times. An effortless recovery of lost partition! That is what we would term the experience we have had with Recoverit. We even tried using it to recover files from our external drive with the same degree of success. We tried working with the software for a wide variety of application areas and found it working in an excellent manner for all our requirements in data recovery. Recoverit offers you excellent functionality and easy to use interface. This makes it an excellent option for your needs no matter whether you are a computer expert or a newbie. It can scan even the huge amount of data without any issues as such. You can use the filter options for the files if you need to. Check it out once and we are sure you will love it.